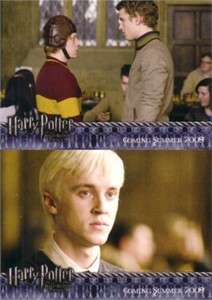 Harry Potter and the Half-Blood Prince ALBUM/BINDER EXCLUSIVE promo cards 04 and 05. NrMt-Mt or better. ONLY ONE SET LEFT.